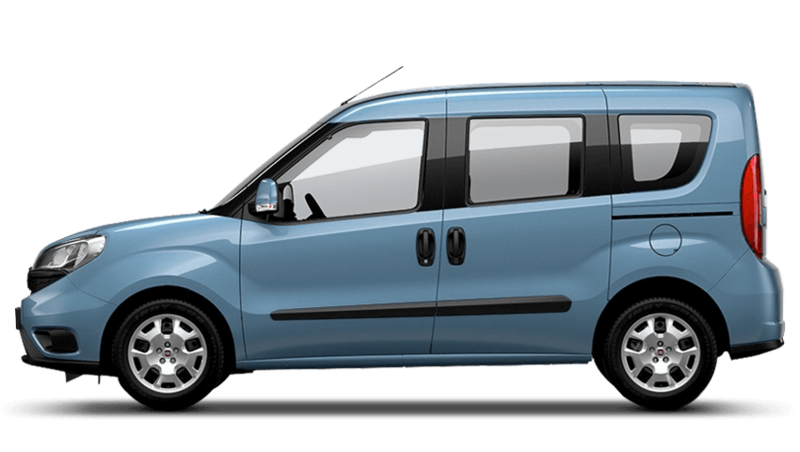 With lots of space and versatility, few vehicles compete with the new Fiat Doblo. A storage capacity of 790 litres inside the cabin can be expanded to 3,200 litres when you fold down all of the seats. Such extensive storage capacity sets the Fiat Doblo apart from any other vehicle in its class! A range of features included in the Doblo are also available to assist you throughout your journey. For example, the innovative Blue&Me™ navigation system enables you to control your music and answer your phone through voice control. There is also the optional feature of an automatic climate control system to maintain the temperature inside the cabin. Driving in a comfortable environment couldn't be easier. All of the Doblo engines are equipped with Start&Stop Technology, which automatically switches off the engine when you stop in traffic to deliver impressive savings in fuel consumption and emissions. In addition you can download the eco:Drive application which enables to you to obtain detailed analysis on how to improve your driving style, saving you even more fuel money. You can purchase the Doblo from our Ashington, Newcastle, Silverlink & Sunderland Fiat Centres. We also offer various Fiat Repair and Servicing plans, which help spread the cost of maintaining a car on a yearly basis.